We're live blogging the State College edition of Final X. Can you believe it!? 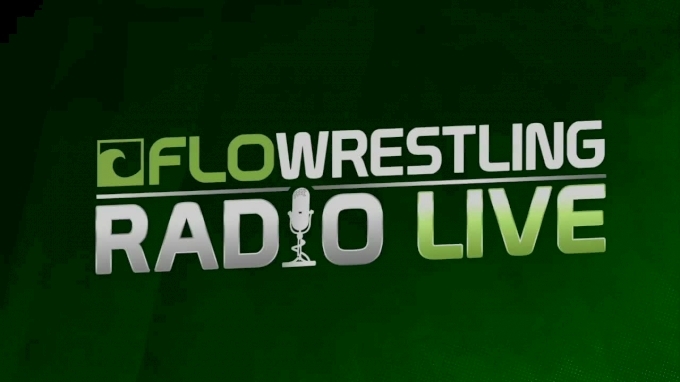 Weigh-ins will once again be streamed live at 3:30PM ET, hosted by MC Mark Bader. 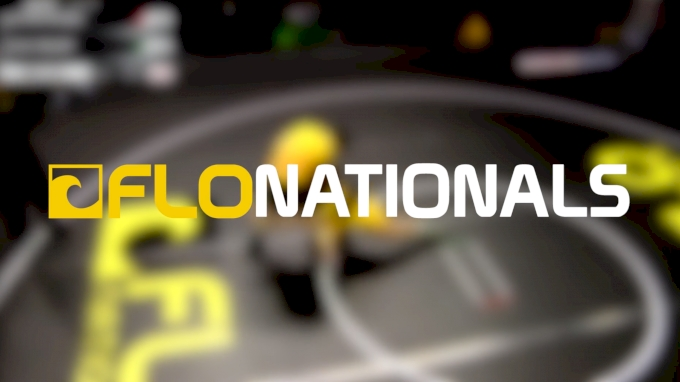 Wrestling kicks off at 6:00PM ET. A stirring rendition of our national anthem and we are just about ready to rock and roll. Willie is in a dressed in a more reserved pail flannel and jeans but looks as spiffy as ever. 1st period: A couple stalemates but no committed shots. McKenna goes on the clock first. Logan tries a slide by but Joey's not giving it up easy. Until he gets wrenched over on to his back, giving Logan a 4 point feet to back. 4-0 Logan with about 90 seconds left in the first. McKenna in on a shot and Logie ties for a chest wrap. McKenna gets the first exposure, then Stieber kicks over for 2 points of his own before McKenna covers for 1. It's 6-3 Stieber at the break. Jeff Buxton cornering McKenna, Lou Roselli is in the corner for Stieber. 2nd period: 3 more minutes on the clock, still 6-3 Logie. Double leg for McKenna and he finishes cleanly, then transitions into a turn for two more at the edge. 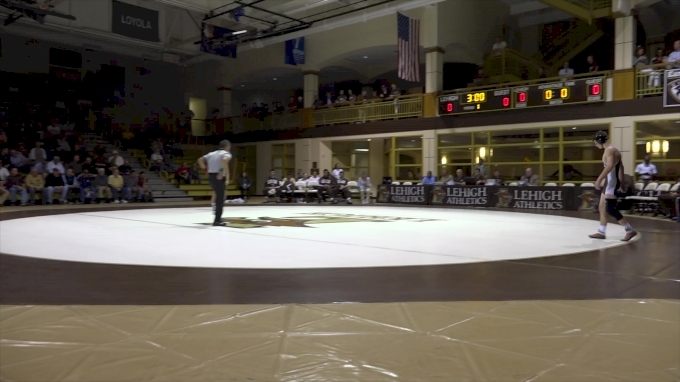 That sequence gives McKenna a 7-6 lead with less than 2 minutes to go in the match. Stieber in on a shot, trying to convert on the edge, may get a step out, instead, he gets a standing lace-ish roll through for two and regains the lead. It's 8-7 Stieber. 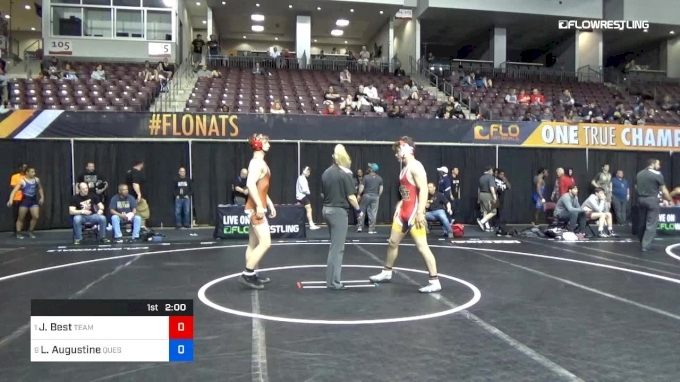 Now McKenna is on the attack and gets a step out, making it 8-8, criteria advantage for Stiber due to more 2 point moves. Just 15 seconds to go. And Stieber holds on to win the first match 8-8. Final X - State College is off to a great start! 1st period: A solid shot by McKenna but Stieber steps out of the way. Now Stieber is behind McKenna who's defending in a quad-pod. But Steiber finishes with a beautiful back arch for four big points and takes the lead with about 2 minutes left in the first. Now blood time for Logie. I think he's got a small cut on the bridge of his nose. 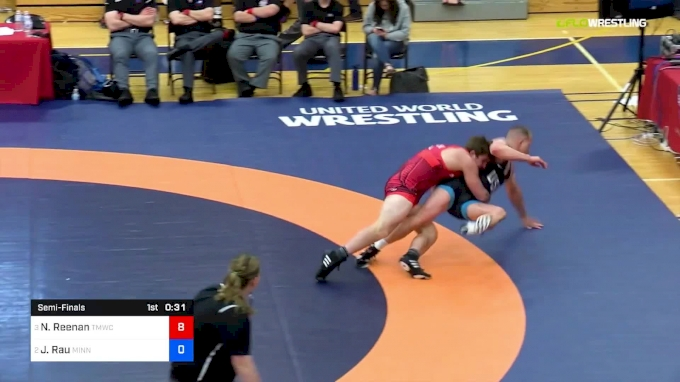 We're back in action and Stieber attacks McKenna's legs. They're in a scramble with Stieber underneath but slowly improving his position. We're stalemated and back up in neutral. McKenna's attack is defended and the first period ends with Stieber still in the lead, 4-0, thanks to that big throw. 2nd period: Good scrambles but no scores for either wrestler after a minute A stalemate puts them on their feet with 1:40 left in the match. Fundamental snap-down go behind for Stiber makes it 6-0. A leglace, after a lot of effort, makes it 8-0, and they'll go back to their feet with less than a minute to go. Huge hole for McKenna to climb out of. McKenna looking for a chest wrap suplex but time will expire, Stieber too strong, his defense too solid. Logan Stieber is the first to earn a spot on the USA World Team in State College! A warm reception for the Buckeye here in Happy Valley. We start our first women's match of the day and I have yet to recognize any of the walkout songs. 1st period: Head inside single gives Miracle a step out point and the first lead of the match. A sweep single and this time Miracle finishes cleanly by cracking back the opposite direction. And also that first step out was ruled a takedown by continuation so it's 4-0 Miracle. A minute to go in the first. Attack by Velte is stopped but Velte almost had the go behind on the Miracle re-attack. No scores in that exchange and it's still 4-0. Short time left. That's all the action for the 1st period. 2nd period: Miracle looking to close it out like she did against Velte in the U.S. Open finals. Her first shot of the second period is stalemated. Velte snatches a single leg and chases Miracle down for her first points of the match. It's 4-2, Miracle in the lead with about 100 seconds remaining. A shot by Miracle is stalemated. Less than a minute to go. Velte looking fo behind but nifty footwork by Miracle staves off the takedown. 2 points is all Velte needs to win by criteria. Velte coming after her but Miracle fends her off and wins the first match 4-2. 1st period: Velte will try and stay alive and break her current losing streak to familiar rival Miracle. Kayla has other ideas though, and scores first off a fireman's carry, switch to a double leg finish. Miracle leads 2-0. A good scramble ensues but no points are scores. We're down to 30 seconds left in the period. We hit the halfway mark, score still 2-0 in favor of Miracle. 2nd period: Velte looking fo behind, ends up with a single leg, can't get the back trip so just runs Miracle down and gets the takedown and holds the lead via criteria. Miracle in on a single leg but gets stuffed by Velte. 90 seconds left in the match. Miracle goes blast double but Velte catches her and they're back in neutral with 46 seconds left on the clock, Velte still holding criteria. Now it's Velte with a clutch go-behind with less than 10 seconds in the match. And that's how it ends 4-2 for Velte, meaning we will have our first third match of Final X! 1st period: The first ever third match of Final X. One of these two highly talented wrestlers is going to make a world team when the match is over. A passivity warning on Miracle as there are no scores a minute and ten seconds into the match. Armdrag into a blast double gives Velte the 2-0 lead. Miracle's corner challenges the call and it doesn't look like Miracle agrees with that decision. The call is confirmed, challenge denied and Velte holds a 3-0 lead with a minute left in the first. It's a very cautious minute as we go to the break still at 3-0. 2nd period: Velte keeping the pressure on as Miracle looks for an opening. Miracle is in on a single now but Velte has her stretched out. It's stalemated, Miracle in a 3-0 hole with just over 2 minutes on the clock. Velte trying to complete the come back after dropping the first match. She's got a minute to outlast Miracle and get it done. Velte gives up a shot clock point and it's 3-1 with less than a minute. Miracle shoots for a leg but she's out of gas. Velte sprawls and spins behind for two, extending her lead to 5-1. Miracle to her credit stays after it but gives up another counter takedown. 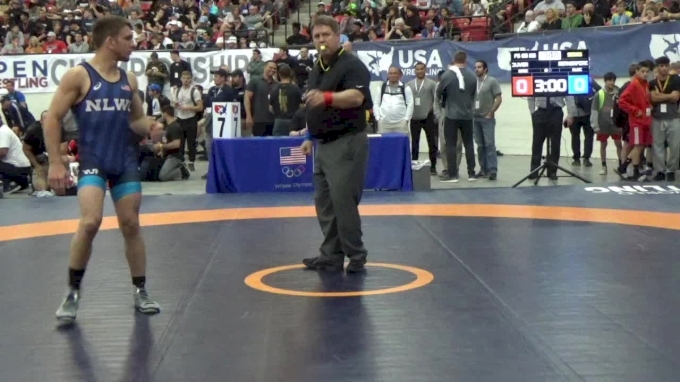 Times expires and Mallory Velte will go to Budapest! Our last match featured two recent college grads. Now we get a college student in Rachel Watters trying to unseat the experienced veteran in Erin Coldgo. WHOAAAAA Come with Me Now is Erin's song. Shipping off to Boston for Rachel. 1st period: Passivity warning on Watters but before the shot clock can expire Clodgo goes arm drag and gets behind Watters. She'll settle for a step out and the first points of the match. Deep shot by Clodgo but a heavy sprawl and ferocious cross face by Watters stymies Clodgo. It's stalemated with less than 30 seconds on the clock. The period ends with the score still 1-0 Clodgo. 2nd period: Watters is in on a single leg but Clodgo hits a crotch lift for an exposure to make it 3-0, then holds off Watters and they're brought back up to their feet. Just over a minute left. Watters in on a shot but is stuffed by Clodgo. In short time, with about 10 seconds to go, Watters finally gets through Clodgo's defenses and secures a takedown. With just a few seconds left on the board, Watters corner throws the YOLO challenge brick to make sure it wasn't feet to back (it wasn't). And that's how it ends, 4-2 in favor of Erin Clodgo after the failed challenge point is tacked on. 1st period: Watters being more aggressive in this match. Trying a variety of setups before finally getting a snap-down to open up some space, allowing her to get the go-behind and the first points of the match. It's 2-0 Waters with a minute left in the period. Clodgo with a single leg but its' Watters again with the solid defense and then the go-behind for two more. Make it 4-0. We go to the break with Watters in the lead by the same score. 2nd period: Watters trying to make sure she's in the second ever third match at Final X. Clodgo feeling out Watters, Watters okay with slowing the pace. A nifty ankle pick and smooth transition into a leg lace gives Watters 2 and 2 for the 8-0 lead. We may get that third match. Clodgo can't pick the pace up as time is winding down. And perhaps Clodgo was saving her energy for the third match because that's how the match ends, 8-0 in favor of Watters, and we're getting another extra Final X match! 1st period: Our final match of the night! Can't believe how fast it went by. Not a lot going on in the first 90 seconds. Watters gets put on the clock. Time expires and Watters gives up the first point of the final match of the evening. Watters then grabs an ankle but it's Clodgo that counters with a crotch lift for two. Watters covers for the reversal and it's 3-1 in favor of Clodgo. And that's the score as we hit the halfway mark. 2nd period: Just three more minutes of wrestling in State College! Watters trying to keep the pressure on, attacking at a solid clip, but Clodgo is prepared and stops all of her offense so far. Less then two minutes to go as Clodgo gets put on the shot clock. Watters gets the shot clock point, then hits a single leg. Clodgo defends with a whizzer but Watters goes limp arm and windmills out of it to collect two points and take the lead, 4-3! Now Clodgo in on a single and she'll settle for a step out and one. Clodgo holds criteria 4-4. Watters in on a shot with time winding down but Clodgo holds on for the win! Watters gave Clodgo all she wanted and more but it's another world team for Erin Clodgo! DJ Khaled's All I Do Is Win for Kyle Dake. Red Hot Chili Peppers for the Californian Zahid Valencia. Pretty sure that was By the Way but I could be wrong. 1st period: A flurry right off the whistle but no score. These guys are pretty athletic. Passivity warning on Dake. Head pull into a double by Valencia and he's in deep. But Dake wraps up around the chest and somehow gets his legs free. Impressive work by both wrestlers. 0-0 on the scoreboard. Now Dake goes on the shot clock with 90 seconds left in the period. 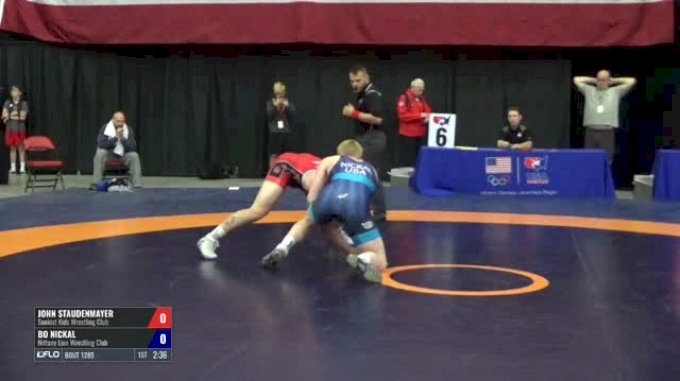 Go behind by Dake and he gets two at the edge of the mat after just 12 seconds from the restart. Shot clock is wiped out and Dake leads 2-0. As expected, Valencia is attacking non-stop but Dake's defense is too crafty and the period ends still 2-0 Dake. The crowd shows their appreciation for the performance thus far with a round of applause. 2nd period: Valencia tried to time a shot off the whistle but Dake was ready. Valencia keeps up with the theme of heavy hands and timed level changes but Dake's hips are glued to the mat every time. Less than 2 minutes to go. Valencia in on a leg but Dake calmly cuts the corner and after some maneuvering, gets a counter exposure for two with a crotch lift. Dake was already in position before Valencia finished his shot. 30 seconds to go. Valencia unable to solve Dake's impenetrable defense. Fortress Dake finishes strong and Kid Dynamite takes the first match 4-0. 1st period: Dake could make his first world team ever after this match. Or Valencia could play spoiler. We'll see if Valencia can make the adjustments to get through Dake's insane defense. Both dudes scrapping hard in short offense. And finally Valencia gets through, scoring cleanly on an ankle pick for his first lead of the of the evening. Valencia almost gets the ankle again but Dake was able to defend. Now Dake gets a passivity warning as momentum seems to be going for Valencia. Dake with a couple shots from space but they don't threaten Valencia. We'll go to the break with Zahid holding a 2-0 lead. 2nd period: Dake coming out firing as roles are reversed and Valencia's defense is too much for Dake. No scores but lots of action as the crowd starts to get into it. Valencia warned for passivity. Elbow pass to a single leg but Dake sits the corner and looks for a lift. This one is stalemated though and we go back to our feet with about 90 seconds left in the match. Valencia in on another single but Dake doesn't panic and this time finishes the exposure via crotch lift to make it 2-2 and holds the criteria edge. A two-on-one gut wrench gives Dake the 4-2 lead. Valencia's pressure after they stand back up makes it 4-3 after Dake is called for a caution and 1 for fleeing. Valencia gets in on a shot in short time but Dake is too strong. He feeds Valencia hips and time expires. Kyle Dake makes his first USA senior world team, beating Valencia is two straight matches! Crowd showing their appreciation for their world team member. Lots of applause for Dake from within Rec Hall. Didn't recognize Adeline's song but it was rockin. The theme song to Ballers for Kori. 1st period: Bullock is the underdog here, by a lot. She placed but did not win Fargo last year, whereas Gray is a three-time senior world champ. Bullock warned for passivity first. Gray scores on a single leg and then gets her deadly leglace going. And just like that Adeline Grat gets a 10-0 tech fall. Impressive. 1st period: 19-year-old Bullock not backing down and gets a deep shot in on Gray. But Gray counters and picks up two. Gray now working on an armbar and will get two more. She's looking for the pin. And she gets it! Adeline Gray by pinfall and the three-time world champ is back on the USA world team! And another big round of applause for another world team member. Now for the first of at least two matches that so many here in attendance came to see. The Magic Man makes his return to State College. And I can't even hear David's song over the roar of the crowd. Nick walks out to hip-hop that I am not cool enough to recognize. 1st period: And that partisan Taylor crowd gets stunned when Reenan scores the first takedown. They're back in neutral, Reenan with the 2-0 lead. Some snap downs and direction changes gives Taylor a go-behind and the lead via criteria. Another takedown makes it 4-2. Reenan gets Taylor's back and is loading him up at the edge. But it's Taylor with a nifty back trip and the Magic Man picks up a feet to back 4. Reenan challenges but it's overruled. Two more takedowns that get ruled as exposures as Reenan tried to funk roll out of them (not an advisable strategy) and David Taylor wins by tech fall, 13-2. A very loud cheer ensues as Taylor pumps up the Penn State fans. 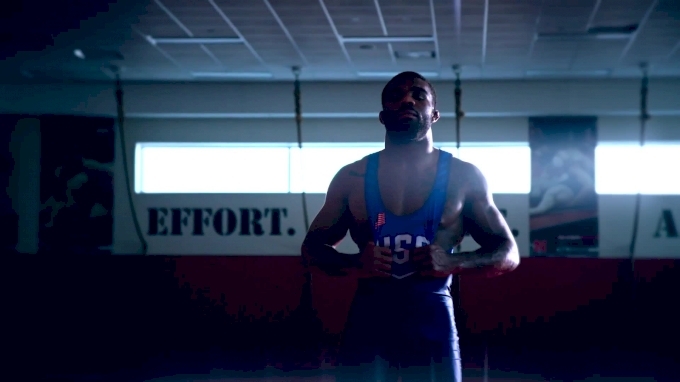 1st period: The most popular man in the gym is back n the mat, trying to join his friend Kyle Dake and make his first world team ever. Can Nick Reenan make the necessary adjustments? Or will it be Magic Man's time? Reenan's in on a double but Taylor easily parries him away. Reenan stretched out on a shot and Taylor covers for two. Now it's leg lace time and Taylor takes an 8-0 lead. 2 points away from a world team with 24 seconds left in the 1st period. Double leg feet to back and there it is! David Taylor makes his first USA world team via 12-0 tech fall in his home gym. As Kyle Brate would say, State College is David Taylor's city! As you can imagine, the crowd responded quite favorably to David Taylor's victory. We had two more matches for the women at 62 and 72 kilograms if you want to follow things in chronological order. That'll do it here in State College. Somehow we're already two-thirds done with the first ever Final X. Next weekend we're in Bethlehem for the FINAL Final X of 2018. Thanks for joining us, our humble apologies for all the typos and see you all in Lehigh!